Grilling and smoking are excellent ways of cooking meat. And what could be better than combining these two methods? If you’re reading this, you've mostly likely already got a Weber Smokey Mountain. It's an exceptional choice of grill. It’s great for both smoking and grilling, and it’s a good choice if you want to do both at the same time. When we use our Smokey Mountains like this, though, it can sometimes take hours to get the meat smoked, tenderized and ready to eat. But is there a way to cook that brisket before lunchtime without sacrificing flavor? The good news is that there are numerous methods for smoking and grilling a brisket hot and fast on a Smokey Mountain grill. To help you do this without sacrificing quality or flavor I've put together a little guide to let you in on some secrets. But before we get stuck in, let’s take a look at why the Weber Smokey Mountain is such a great grill. Weber is a prize-winning grill manufacturer. 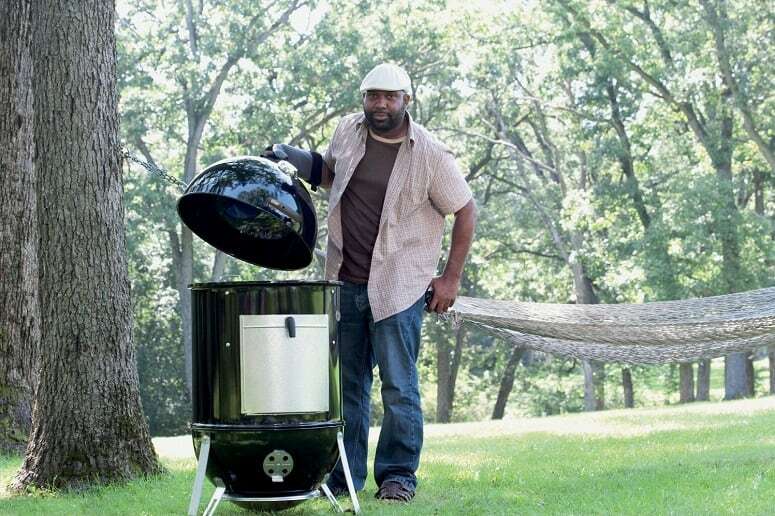 For decades, this company has been blessing us grill enthusiasts with affordable grills in all shapes and sizes. Weber consistently promise and deliver quality, these are some of the best grills out there. Their Smokey Mountain grill is primarily designed for low and slow cooking. Nevertheless, it's not impossible to cook hot and fast on it. The oval design is perfect for reaching scorching-hot temperatures. Plus with the adjustable air vents, it's easy to maintain this heat as well. On the inside you'll find a place for the charcoal at the bottom. Above that you'll be able to fit a water tray in. This will help regulate the temperature as well as providing some much needed moisture. The grill itself is easy to take apart. It comes in three pieces; you can even remove the middle section and transform it into a kettle grill. Take out the center section, place the grates directly above the hot charcoal and, hey presto, you’ve got a hot and fast grill. However, this is not always as convenient as it sounds. It might be perfect for cooking a medium-rare steak, but it's a different story when it comes to something like chicken. You'll have to keep watch, as the direct heat can quickly become too much. So unless you know your temperatures and how to regulate them well, it's better to keep the Smokey Mountain in its assembled shape. Of course, it's not the ideal smoker, as the temperature can be challenging to keep low. But for the price, it will easily beat the competition. The Smokey Mountain's design creates a good environment for smoking. The lofty shape and adjustable air vents allow for more vapor to build up inside. This will also aid in preserving the burning charcoal and help the coals stay alive for longer. Usually, when you cook hot and fast on a grill, you're sort of cheating yourself from gaining that smokey flavor. But, due to its design, you don't have to compromise that crispy chicken skin to get the flavor you're craving. I did agree to let you in on some secrets, and here is one: do a dry run and "season" your grill. Many of my fellow grill aficionados will state that this step is unnecessary for today's new grills. But I beg to differ. By "seasoning," I mean creating a layer of grease and soot on the inside of the grill. Most of us, when buying a new kettle for example, do a few runs before using the water for our coffee. By boiling some water a few times, we're rinsing out most of the dust and substances coming from the manufacturer. So why wouldn't we do the same with our grill? New grills look shiny and, well, new. This is good when you want to impress your nosy neighbor, but not so much for your cooking, especially if you're planning on doing it hot and fast. When a grill comes from the factory, it's almost too clean. Ideally, you'd want to build up a layer of grease on the inside, i.e., season it. This will enable you to keep a regulated temperature to avoid excessively charing your meats while cooking hot and fast. Dry runs have two phases. If your Smokey Mountain is new, I'd recommend following these two steps to ensure your cooking is successful. Begin by covering the water pan with some foil, but hold the water for now. Then start loading your grill with charcoal briquettes and let the temperature rise as high as possible. Leave the charcoal to burn out and then remove them to begin phase two. For phase two, fill half of the charcoal basket with unlit briquettes and add half a chimney filled with lit charcoal. Get your grill to about 275 degrees Fahrenheit and leave it for three to five hours. Get some of the leftover fatty meat cuts (which you're not planning on eating) and throw them on the grill. Add some smoky wood, repeat this step a few times, and your grill should be seasoned nicely. Cooking is, in many ways, a process which allows you to be creative and try new methods and tricks. But when it comes to products such as meat and poultry, you should follow a specific protocol to ensure it's safe to eat. Chicken is the best meat to cook hot and fast and still get a great flavor and crispy skin. As opposed to pork or beef, chicken is from a much smaller animal, which means the meat is easier to tenderize. Due to its size, it will also cook a lot quicker. 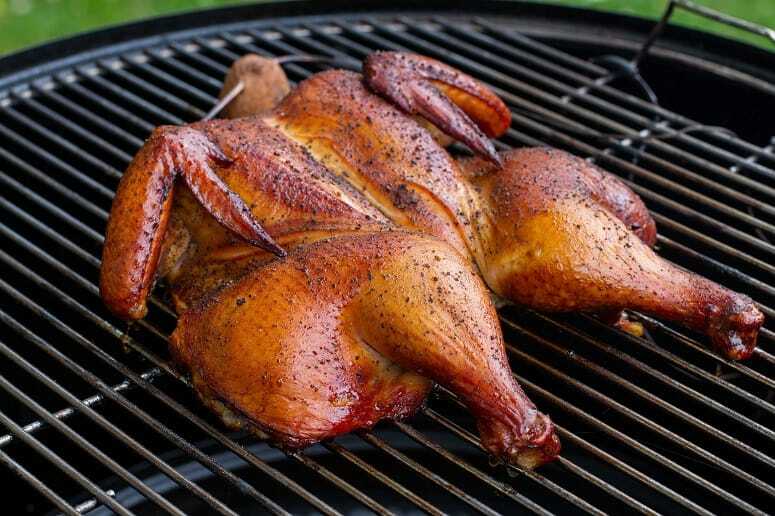 But when grilling a chicken hot and fast, you should watch the temperature of the meat. One drawback of fast cooking is that, sometimes, you've burnt the outside, while the inside remains uncooked. The temperature inside the chicken should be at least 170 to 175 degrees Fahrenheit in the leg, and 161 to 162 degrees Fahrenheit in the breast. Not overstepping this temperature will also ensure that the meat isn't dry or overcooked. Rushing the cooking procedure of this cut won't end well. The long, slow cooking time is ideal to let all the fat melt through the meat to give it a silky, melt-in-the-mouth texture. Truthfully, the quickest way to rush this process is by boiling it, but that would ruin the taste. But once again, as I promised some secrets, I will guide you through two bullet-proof ways of cooking butterfly chicken and brisket, hot and fast. Please note that brisket can be tricky, so it could take some trial runs before getting the perfect texture. But don't fear, Rome wasn't built in a day, and the same goes for your cooking experience. This process will take about four hours, depending on the size of your meat. But it's a sure time-saver when compared to the usual five to ten hours. 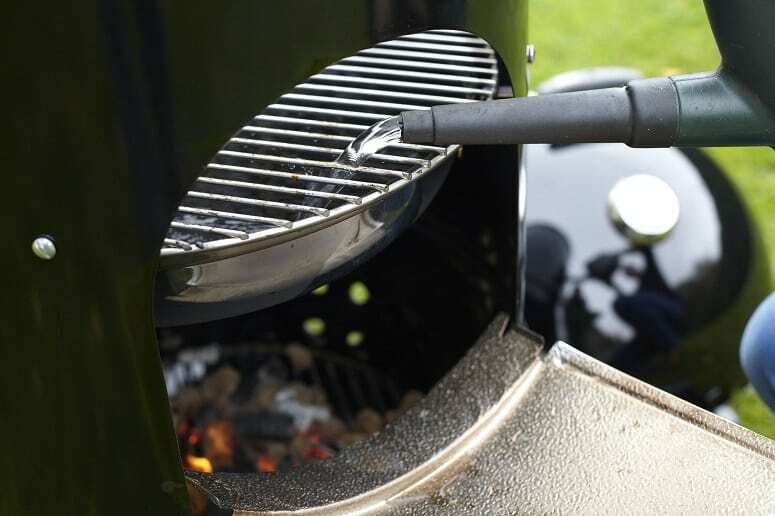 Now you know some of the inside details on how to cook hot and fast on your Weber Smokey Mountain. It's essential to get your grill ready by doing a dry run and make sure you choose the correct products to grill hot and fast. We’ve gone over chicken and brisket, but you can try the hot and fast cooking methods with other meats on your Weber. Take your time getting the hang of everything, experiment a little bit. After all, it's always good to do a few trials beforehand, to make sure that the grilled food you promised your guests is as delicious as they’re expecting.